In stock -This product will ship today if ordered within the next 9 hours and 49 minutes. From the depths of the Dead Sea, this genuine mud has been renowned for its therapeutic benefits since ancient times to help purify, soften and soothe dry, itchy or acne-prone skin. 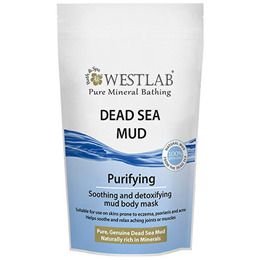 Westlab only source the highest quality genuine dead sea mud, naturally rich in magnesium, calcium and potassium. 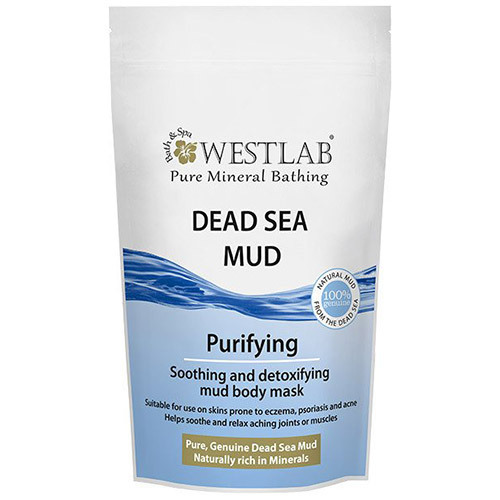 The Dead Sea Mud is packed with essential skin minerals, including magnesium, to help purify, relax tired and aching muscles or joints, and support natural skin health. Maris Limus (Dead Sea Mud). Apply the mud in a thick layer over the skin. Mud can be left to dry on the skin or wrapped in plastic and towels to induce extra warmth. Leave on for 15-20 minutes and rinse off with warm water. To Heat: Place inner pack in a bowl of hot water for a few minutes prior to opening or alternatively open one corner and put in microwave on a medium heat for 60 seconds (always stir mud thoroughly and check temperature before applying). Keep seal in a cool, dry place. Below are reviews of Westlab Dead Sea Mud Pouch - 600g by bodykind customers. If you have tried this product we'd love to hear what you think so please leave a review.